On Tuesday, September 4, at 9:30 a.m., the Senate Judiciary Committee will begin its hearing on the nomination of Judge Brett Kavanaugh to the Supreme Court. 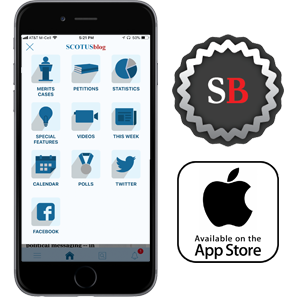 SCOTUSblog will live-blog the entire hearing. Amanda Frost has an academic highlight on recent scholarship about confirmation hearings, and Carolyn Shapiro provides historical context about past hearings. As a resource before, during and after the hearing, below the jump is a compilation of the blog’s coverage of the nomination up to this point, including our analyses of Kavanaugh’s jurisprudence in 16 areas of law. After Justice Anthony Kennedy’s retirement, Edith Roberts profiled Kavanaugh as a potential nominee. 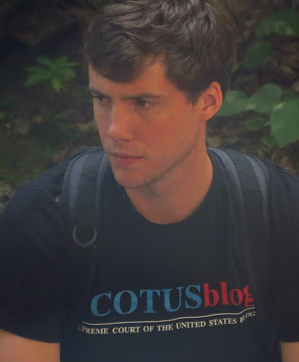 Additional blog coverage in late June and early July included Amy Howe’s main report, eight tributes to Kennedy and a collection of statements from the other justices, nine analyses of Kennedy’s jurisprudential legacy, and five profiles of other potential nominees besides Kavanaugh, as well as a take on five frontrunners by blog partner Empirical SCOTUS. Blog partner First Mondays released two podcasts featuring discussion of the retirement. I looked at past summer nomination timelines. On the night of the nomination, a team of staffers, along with the First Mondays commentators, live-blogged, Amy reported on the announcement, Mark Walsh provided a “view” from the East Room, and Jon Levitan rounded-up early coverage and commentary. 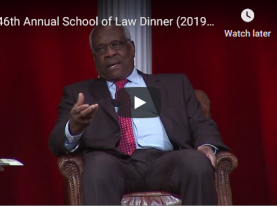 That night and over the course of next two weeks, the blog also gathered and posted reactions to the nomination from interest groups and Kavanaugh’s extra-judicial writings and speeches. Since the nomination, Amy reported on Kavanaugh’s Senate questionnaire and the Senate’s release of records of Kavanaugh’s. Jon looked at the political situation facing Democrats in the Senate, and I looked at the Republicans. First Mondays released five podcasts featuring discussion of the nomination. Empirical SCOTUS parsed data in five separate posts on Kavanaugh, his confirmation and the court. Kavanaugh and campaign finance: Republican National Committee v. Federal Election Commission, by Charles Davis, Goldstein & Russell, P.C. Kavanaugh on presidential power: Law-review article on investigations of sitting presidents, by Kevin Russell, Goldstein & Russell, P.C. Kavanaugh on the Affordable Care Act: Seven-Sky v. Holder, by Tejinder Singh, Goldstein & Russell, P.C. Kavanaugh on net neutrality: U.S. Telecom Association v. Federal Communications Commission, by Eric Citron, Goldstein & Russell, P.C. Kavanaugh on the executive branch: PHH Corp. v. Consumer Financial Protection Bureau, by Sarah Harrington, Goldstein & Russell, P.C.